Bangalore, 1st July, 2014: Manthan, a leading provider of Business Intelligence (BI) and analytical solutions for the retail and Consumer Packaged Goods industry, today announced that it has been named Company of the Year – Analytics, by Frost & Sullivan at the 12th Annual ICT( Information & Communication Technology) Awards. This award recognizes the overall outstanding performance of Manthan in the field of Analytics, for having pushed the boundaries of excellence, and demonstrated outstanding performance in the ICT sector in India. 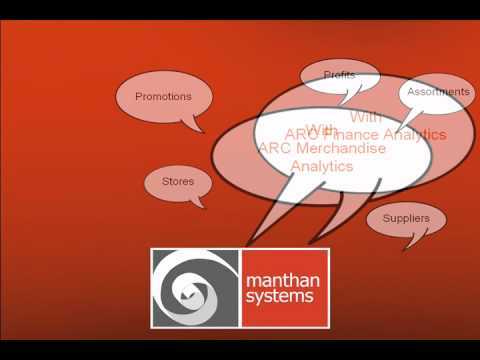 Manthan provides analytics solutions and products to the retail and CPG industries – bridging the gap between the new retailer and the new shopper with analytical insights. The Frost & Sullivan India ICT Awards are judged based on a variety of parameters like revenue, market share, product introduction, innovation and diversity, vertical and horizontal diversity, business and market strategy. An independent panel of elite judges comprising CXOs from the media and IT sector, deliberated on the findings of the analyst teams before naming Manthan as Company of the Year – Analytics in the Emerging Software Products category. With a clear focus on Retail and CPG organisations, Manthan has developed an unparalleled understanding of shopper behaviour. This familiarity gives their clients the competitive ability to adapt the most recent developments in big data analytics into actionable business solutions. “Our key achievement has been making analytics-driven decisions actionable”, added Atul, “This far, analytics products could only claim to analyze and help decision-making. But at Manthan, we can claim to Analyze, Decide and Do. We do not just provide insights that aid decision-making, but we ensure that they can be actioned intelligently”.